Well, thanks to the fine people over at Apple, my hard drive has been replaced and all is well again in my universe. This post and the following are two species that I did not prepare, but these paintings were done as commissions. I decided to toss them up, as this is all I have right now! 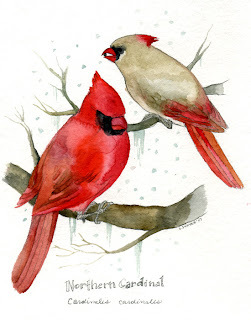 To anyone that lives in the Chicago area, Cardinals are a pretty common sight year round. Even in winter, males are often seen as a stain of red against a backdrop of snow. Cardinals belong to the family Cardinalidae, which also includes buntings, grosbeaks, and Dickcissels. 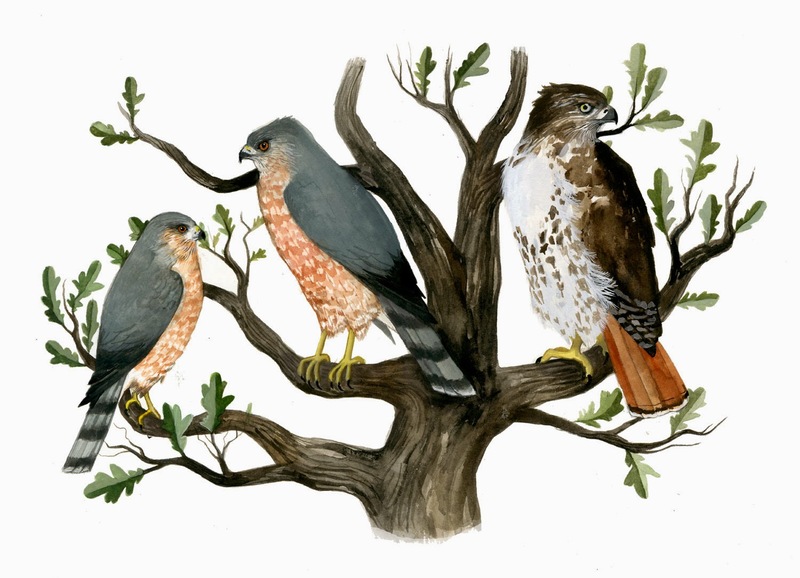 All species within this family are seed eaters, as noted by their strong, conical beaks. With a couple of exceptions, all species are monogamous, with strong sexual dimorphism in plummage. Even though the female Northern Cardinal is more subdued and cryptic in color, I find them to be just as stunning as the males. I agree, they're both gorgeous. I'm in love with your birds.